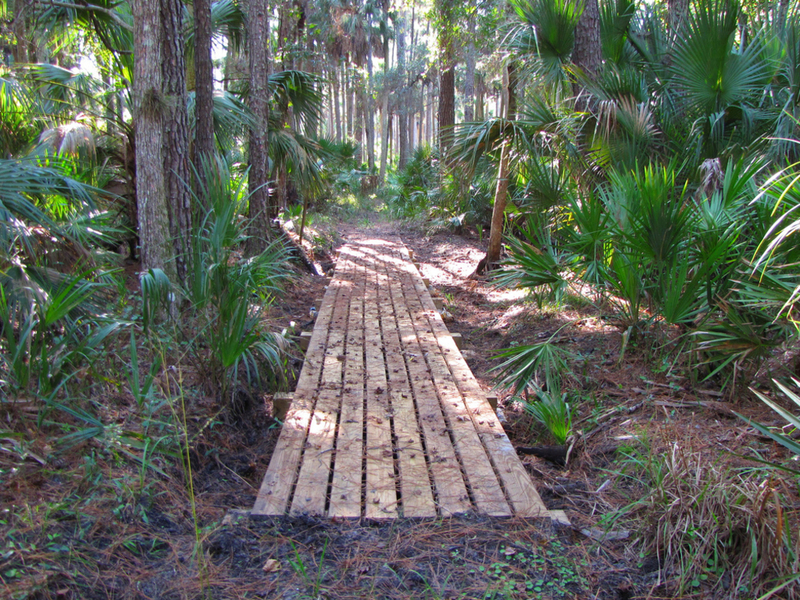 Seminole State Forest includes an 8 mile stretch of the Florida Trail and 2 additional loop trails. All of the trails take you through interesting and diverse ecosystems and over water crossings and foot bridges. Seminole State Forest includes an 8 mile stretch of the Florida Trail and 2 additional loop trails, for over 23 miles of trails total. With over 23 miles of trails, it's easy to spend an hour or a whole day exploring the forest. 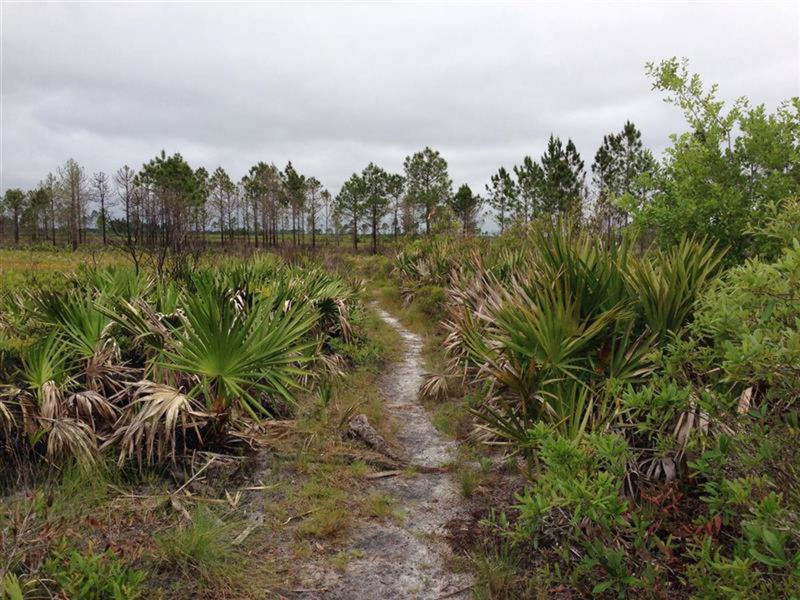 Some of the best trails in central Florida can be found in Seminole State Forest in Eustis, Florida. 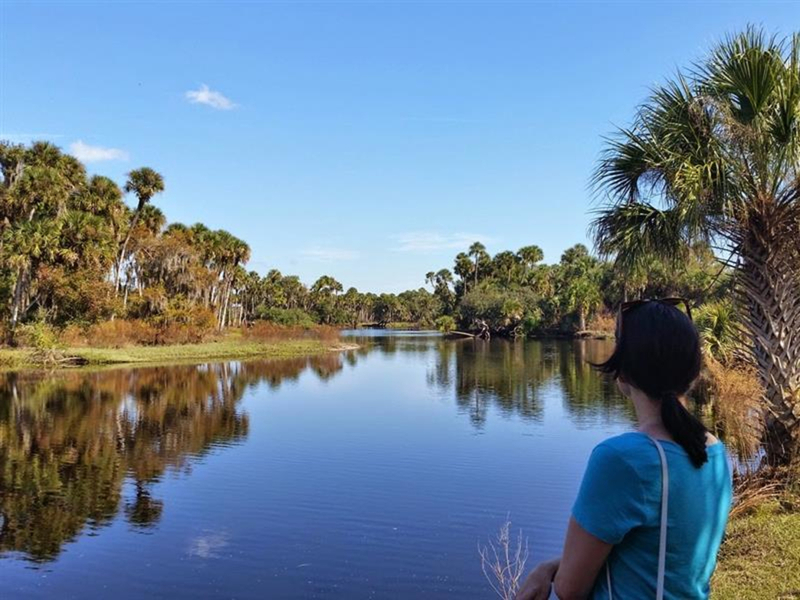 With over 23 miles of multi-use trails, 8 miles of which are part of the Florida Trail, this is a great area that you will return to again and again, whether it be for hiking or trail running. The main trail in Seminole State Forest is an 8 mile stretch of the Florida Trail between Bear Pond Trailhead in the southern section of the forest and the Cassia Trailhead in the north. 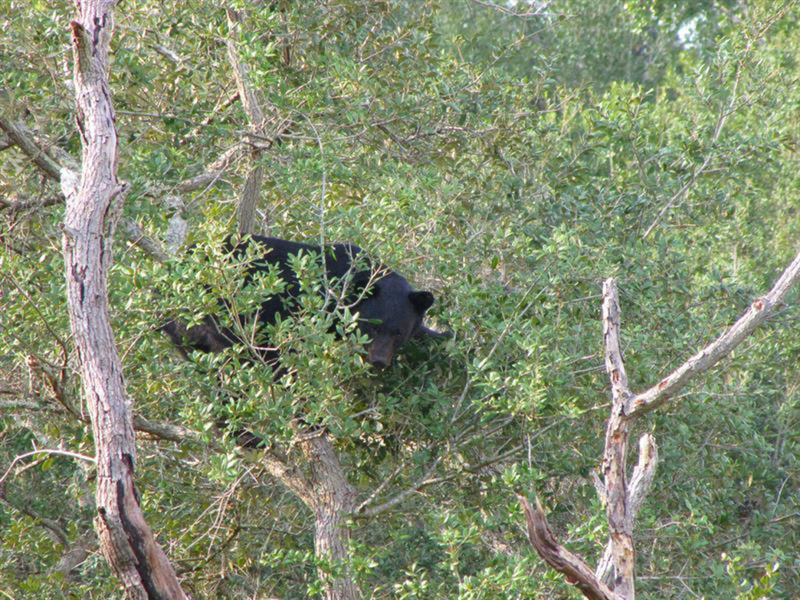 It will take you through open pine scrub areas, dense shaded forests, and past Blackwater Creek. As you make your way along the trail you’ll pass two interesting trail registers made from old mailboxes. Make sure to sign in and check out what other people have written. 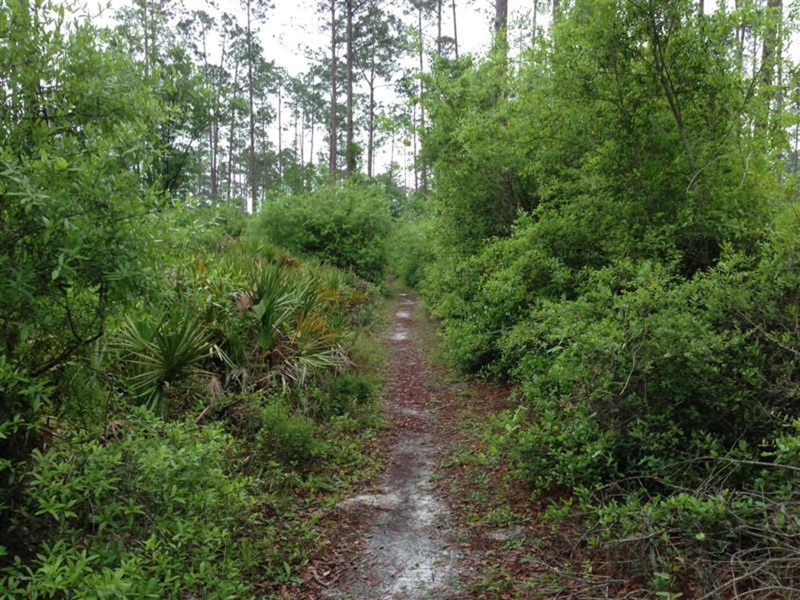 Most of the Florida Trail is clear and well maintained, but be prepared for an overgrown section near Pine Road. During the rainy season, the vegetation along the trail can grow taller than an adult and make finding the trail blazes difficult. If you get stuck continue going north and you will eventually find the orange blazes. 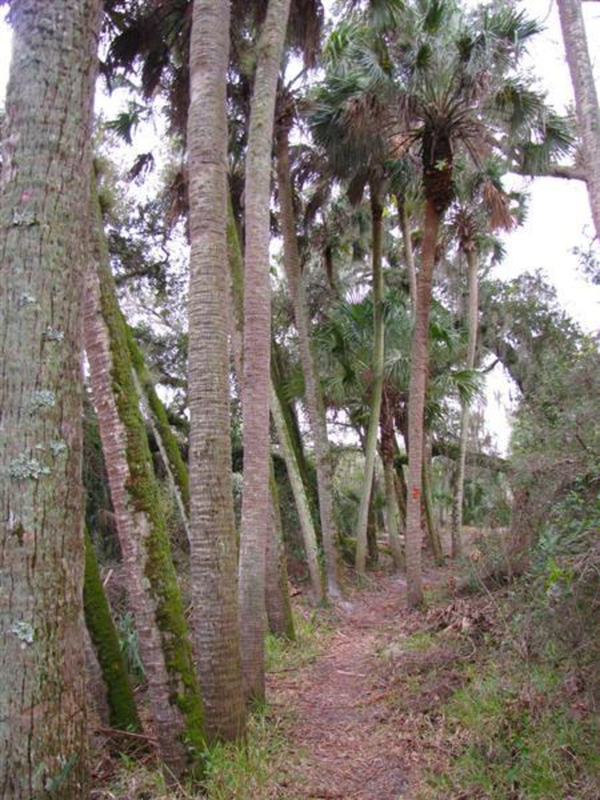 In addition to the Florida Trail you will also have the option of hiking the 3.5 mile North Sulphur Island Loop. This loop starts at the intersection of Sand Road and Pine Road and takes you through the interior of the forest. If you are interested in hiking or running a loop around the forest you can combine both trails into a 7.8 mile route. 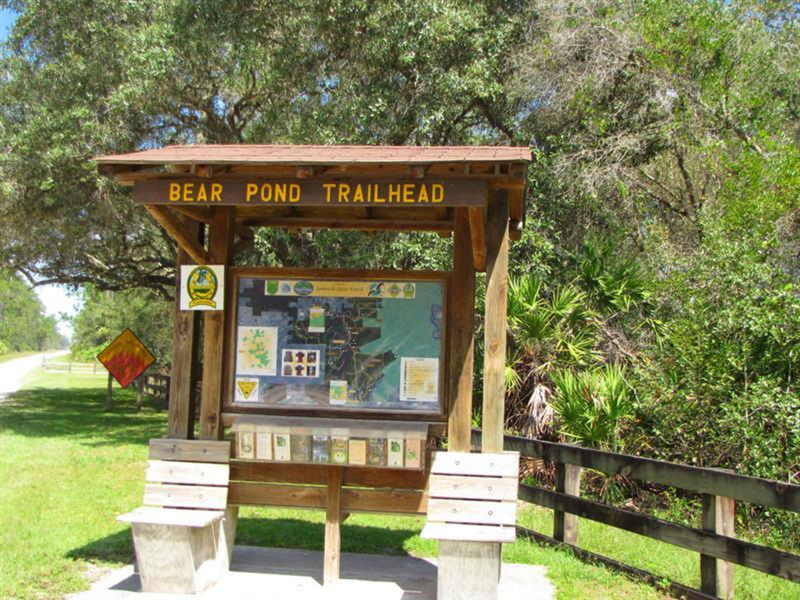 For this route, start off at Bear Pond Trailhead and head north on the Florida Trail. When you reach Sulphur Camp take a left (west) onto the North Sulphur Island Loop. The loop will bring you around to Pine Road where you will meet back up with the Florida Trail and take that back to Bear Pond. Make sure to check the forecast before heading out to Seminole State Forest. Most of the trails stay relatively dry, but some sections in the pine scrub area towards the south of the forest can develop large puddles. Also, take precautions against the heat and sun. There are no water sources at either trailhead. Besides the weather concerns make sure you bring enough bug spray. The ticks can be an issue in this area. Spray yourself with bug spray before starting the hike and during breaks in order to prevent any issues. 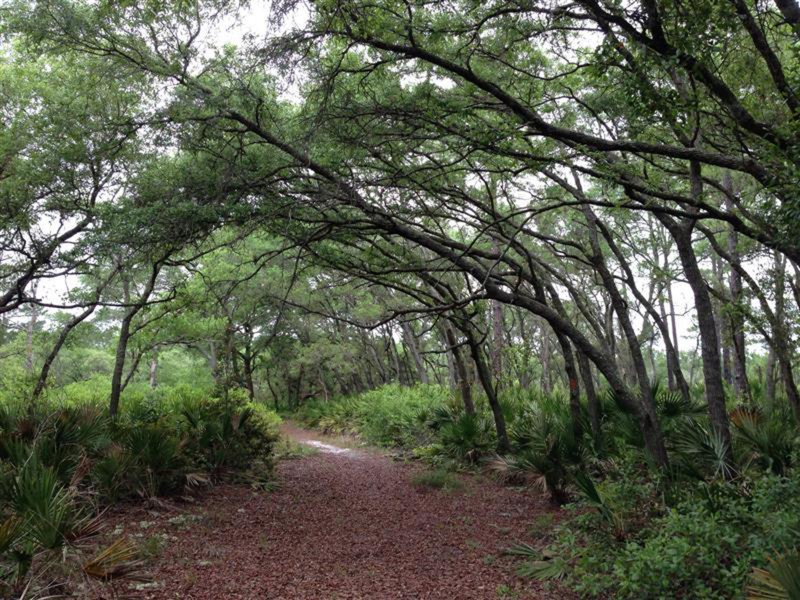 Anyone who enjoys hiking will have a great time at Seminole State Forest. Most of the trails are wide and easy for people of all ages. Make sure that whoever is leading the way in your group has a walking stick or trekking pole in order to help clear the path of spider webs. You will find their webs blocking your path for most of the trail. Parking is available at both the Cassia and Bear Pond Trailheads. Each trailhead includes enough parking for 8-10 vehicles and has a temporary bathroom. Make sure you pay the access fee at the honor boxes. 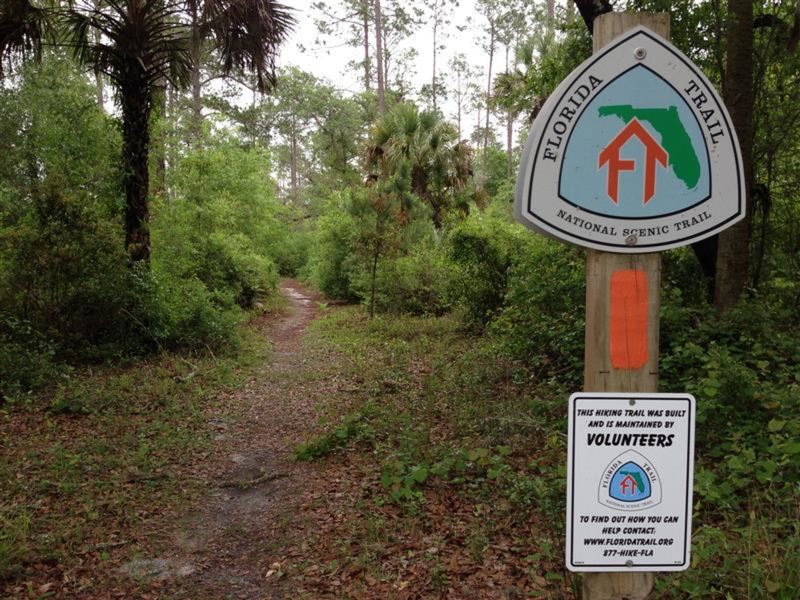 If you’re interested in camping, there are 3 campsites along the Florida Trail. One is a shelter campsite near Bear Pond Trailhead and the other two are located further north. Blackwater Camp is next to Blackwater Creek while Sulphur Camp is near Sulphur Run. All 3 campsites include a picnic table and fire ring.